EXTENDED - FEBRUARY 14- MFP - Market Facilitation Program- COMPLETION OF Part D of CCC-910 form signature deadline. When producers complete an acreage report, there is certain information that the producer must either write on the aerial photo or communicate to the employee assisting them with the acreage report. The one important piece of information is the 'intended use' of the planted or perennial crop. 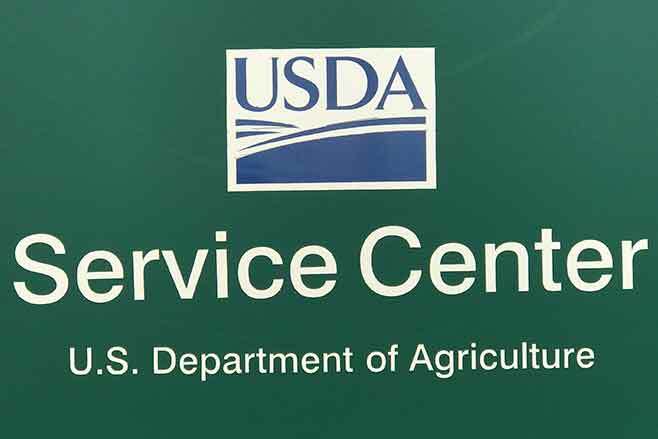 Intended use codes can affect program eligibility for various programs, including, but not limited to NAP, marketing assistance loans, CRP, ARC, PLC and MFP. Intended use of a crop CANNOT be revised once the acreage reporting deadline has passed. One producer can have interest in the grazed acreage and another producer can have an interest in the harvested acreage. Again, it's important that producers communicate the intended use or multi-use of the crop at the time of acreage reporting. Due to the shutdown there are many revised program deadlines dates. The two deadlines that will affect Kiowa County producers is the MFP - Market Facilitation Program and 2018 LFP- Livestock Forage Program. MFP - The CCC-910, which is the form used to apply for the program has two parts of the form that must be signed by the producer and both parts have two separate deadlines. Part D - Producer Certification (bottom of the form) must be signed by the producer or the authorized representative no later than February 14th. Part C - Production Information - producers have until May 1, 2019 to report production or livestock inventory. NOTE: Producers who have FSA interest in more than one county will complete the CCC-910 form with the recording county FSA Office. LFP - 2018 grazing year Livestock Forage Program for grazing loss. The original deadline was January 31st , the new deadline is February 28, 2019. In Kiowa County many of the producers with livestock have applied, as the county has been eligible for LFP since early summer. For a complete listing of program deadline extensions for all programs, please contact the FSA Office. Friendly reminder, FSA does not send out 1099's to producers who earned less than $600.00 reportable income in the calendar year.